Anti-smoking campaign evolves to "bring harm closer to people"
Public Health England is developing its traditional January smoking cessation activity by employing more sophisticated ad targeting and a new PR angle to get into smokers' faces. With a £1.5m budget, the campaign will re-use TV ads from 2014 and 2015 that show a tumour growing on a cigarette and gory gunge taking the place of tobacco when a man makes a roll-up. But this year PHE is hoping the images will do a better job of putting people off their fag break by virtue of catching them at the right time, according to marketing director Sheila Mitchell. She told Marketing: "We’re trying to do timed ads through digital and VOD, working with media owners and using data to serve them at the right time. We want to try and disrupt people before the typical fag breaks – the first of the day, before work, afternoon breaks, the journey home and before bed. "We have done this before but as we go on the opportunities are growing and it gets a bit more targeted and focused." Another new strand in the campaign’s effort to "bring the harm [of smoking] closer to people", as Mitchell puts it, is a PR-led message about smoking-related lung disease. Chronic Obstructive Pulmonary Disease (COPD), an umbrella term for conditions such as emphysema and chronic bronchitis, has now been diagnosed in a million people and contributes to the deaths of almost 25,000 people per year, in England. To illustrate its debilitating effects PHE is distributing case studies and has made a short film featuring Olympic 400 metres runner Iwan Thomas, whose mother has recently been diagnosed with COPD. 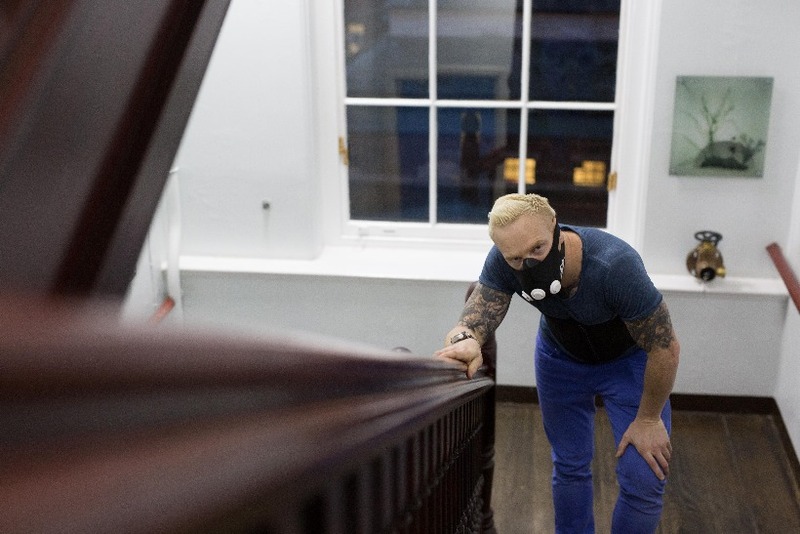 Thomas and four smokers take part in an experiment that uses a corset and a mask to give people an idea of how much COPD restricts everyday tasks such as climbing the stairs. "We’re trying to bring home to people that the harm in smoking is not distant," Mitchell said. "It might not be lung cancer, it might be something that will curtail your life in the near term." The campaign follows PHE’s other anti-smoking Stoptober, which clocked up its third year, and is one of three of the body’s New Year campaigns along with 'Sugar smart' and Dry January.